The compensation increase will lift the company’s operating expenses by $US2.75 billion, according to Morgan Stanley analyst Brian Nowak. 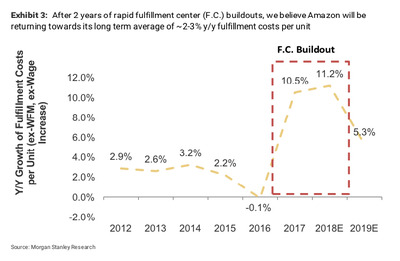 Meanwhile, Amazon’s previous investment in warehouse’s Kiva robots will increase its fulfillment efficiency and offset the wage increase, he added. 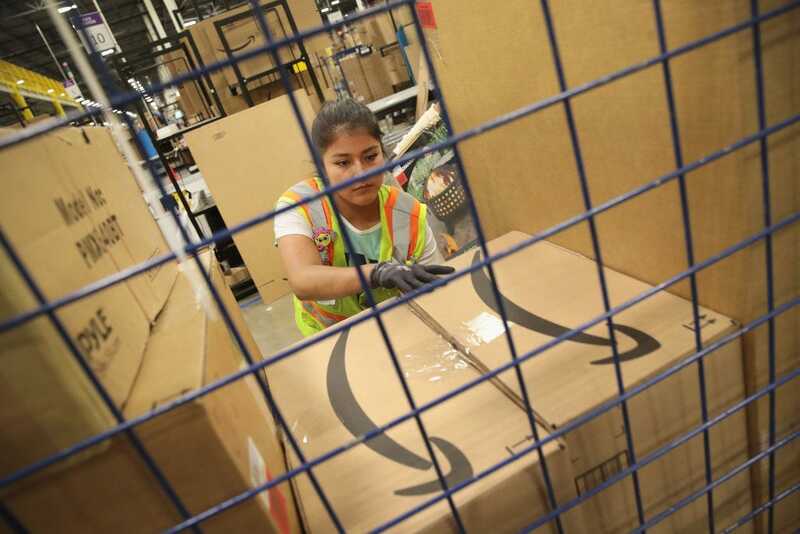 Amazon announced earlier this month that it is raising minimum wage for US and UK employees starting in November, and Morgan Stanley analysts say the cost is “manageable” as fulfillment efficiency improves from the company’s Kiva robots. 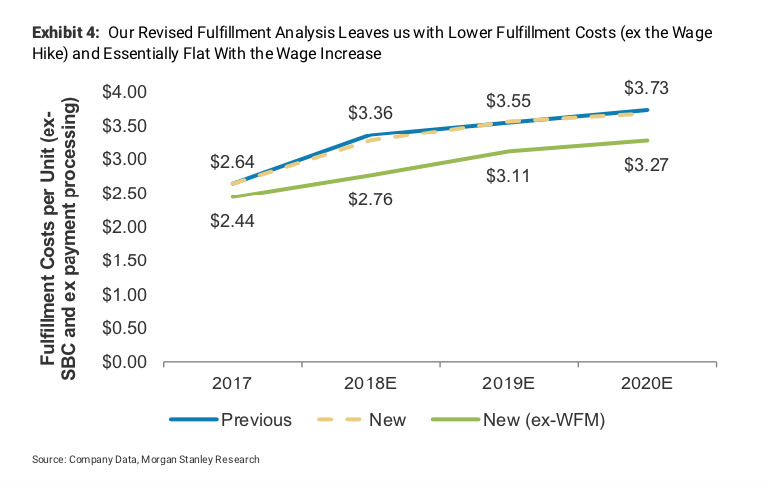 “We think improved fulfillment efficiency is set to offset the aforementioned wage increase,” a group of Morgan Stanley analysts led by Brian Nowak wrote in a note sent out to clients on Monday. By the bank’s calculation, the compensation increase will lift the company’s operating expenses by $US2.75 billion, or around 2.5% in fiscal year of 2019. The wage hike is “not small” but “manageable from a profit perspective,” Nowak said. Since 2016, Amazon has been aggressively investing Kiva robotics integration in its warehouse. 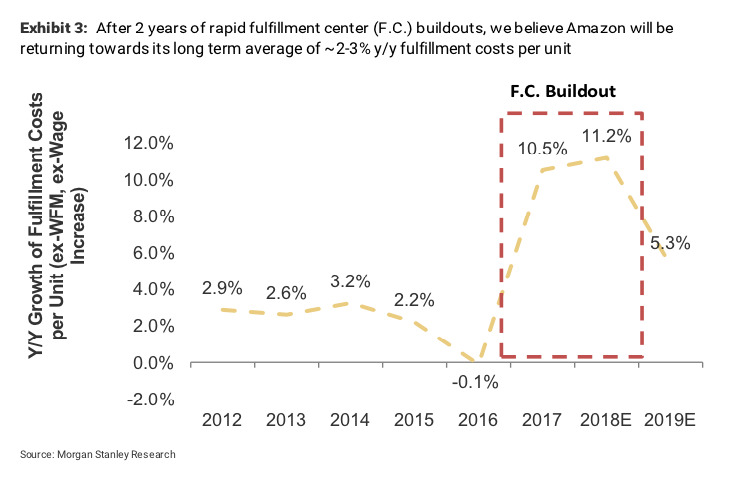 These investments have been lifting Amazon’s fulfillment costs per unit in the past two years, but will start to show benefits since the second quarter of this year, according to Nowak. 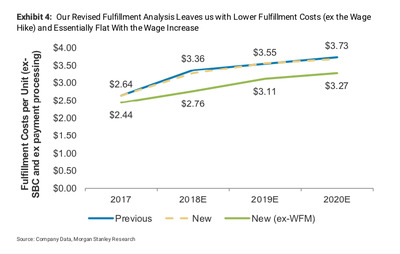 Considering lower fulfillment costs boosted by the efficiency, the unit cost of fulfillment will be flat with the wage increases, Nowak added. 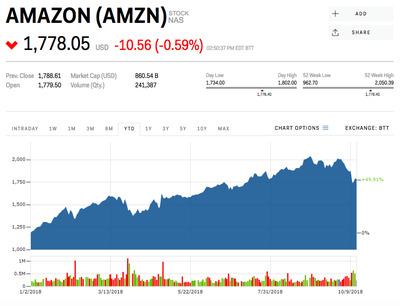 And while the pay hike is manageable for Amazon, Nomura Instinet analyst Simeon Siegel recently said it comes at a cost for employees because Amazon is eliminating restricted stock options and monthly incentive bonuses for hourly workers. And so, if calculating stock and incentive benefits, these employees will actually “lose out” after the new wage change, Siegel said. Amazon is set to report its quarterly results on October 25. The e-commerce giant is expected to earn an adjusted $US5.62 a share on revenue of $US57.05 billion, according to Bloomberg data. Morgan Stanley reiterated its “overweight” rating and $US2,500 price target. Amazon shares were up 50% this year.